Many cancer patients are burdened with excessive costs of health care and treatment, with some annual costs of care totaling over $100,000, according to the National Cancer Institute. This financial stress is often compounded by patients’ reduced ability to work and other hidden expenses. 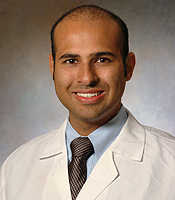 But now ITM investigator Jonas de Souza, MD, MBA, has developed and tested a system that measures a patient’s risk for and ability to handle financial burdens so that doctors can evaluate and treat financial distress as a symptom of a cancer diagnosis. 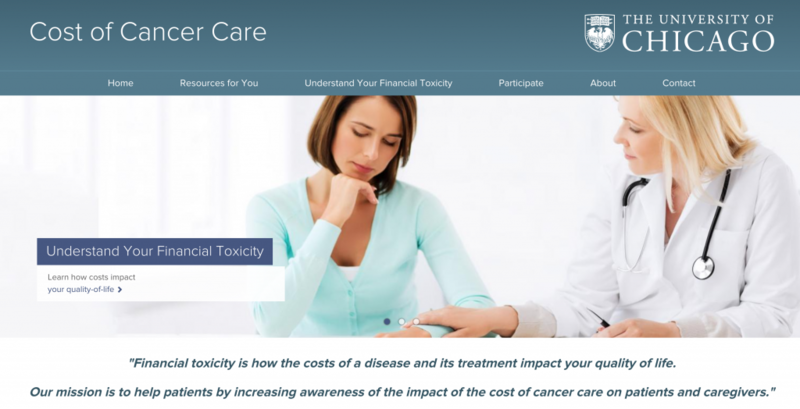 In an article published in the journal Cancer on Oct. 5, de Souza confirmed that the COmprehensive Score for financial Toxicity (COST) tool effectively determines cancer patients’ financial toxicity, or the expenses and anxiety associated with the large and unpredictable costs of cancer. His research found that financial distress is a symptom like any other. COST scores measure that symptom and estimate how it will impact a patient’s quality of life, according to de Souza. Now, patients can determine their COST score with an online questionnaire and then discuss the results with their treatment team. Incorporating the understanding of a patient’s financial toxicity into treatment could allow doctors to pinpoint and then address the underlying cause of their patient’s financial distress, thereby improving their experience as they fight cancer. For instance, a doctor may identify transportation costs as a major underlying factor causing their patient’s financial distress. The doctor could then personalize their treatment plan by assisting with parking vouchers or CTA passes. This could help alleviate the symptom of financial stress and contribute to an overall better quality of life for the patient. If these stressors — no matter how small — go unaddressed, de Souza said they have great potential to weigh heavy on the patient’s physical and emotional health, resulting in consequences as grave as forgoing treatment altogether. De Souza has spent the last four years working with 233 cancer patients to build the COST tool and its questionnaire framework. He approached participants at the University of Chicago Medicine and NorthShore University HealthSystem cancer centers, and conducted interviews and administered questionnaires to first determine and then validate COST measurements. He partnered with ITM affiliate NorthShore University HealthSystem in 2012 under an ITM Collaborative Pilot Award that provided the joint research project $50,000. Co-authors from UChicago, ITM affiliate the Illinois Institute of Technology (ITT), Memorial Sloan-Kettering Cancer Center and Northwestern University. ITM investigator Mark Ratain, MD, contributed to the data analysis as well. De Souza said the ITM grant also helped connect him with the resources he needed to complete his research, like research assistants and contributing authors. Patients’ responses to the questionnaires revealed that COST scores directly relate to income, psychological distress and health-related quality of life. Race, employment status and number of hospital admissions also affected the score. And because financial distress was found to directly link to the patient’s quality of life, de Souza concluded that COST scores are a clinically relevant outcome that must be considered when treating an individual. But simply telling a patient they have measurable financial issues is not enough, de Souza said. If a patient has a low COST score (meaning high financial distress), providers have a responsibility to help, he said. De Souza’s research is already yielding real-world applications. The COST tool is available online for free, so providers can measure their patient’s financial distress and proceed with treatment accordingly. As doctors start to identify the root cause of their patient’s financial anxiety, they can tailor costs and treatment options to better suit the individual. And beyond clinical help, they can likewise identify the need for social support to ease monetary problems. And now de Souza wants to take his research a step further. He’s applying for other grants to implement his tool in a larger body of patients and he plans to build a database of patient profiles that will outline the factors that drive toxicity. That way, he can diagnose toxicity before the symptoms start and target the causes of financial distress at their root. To learn more about this research or explore opportunities for collaboration, contact Jonas de Souza at jdesouza@bsd.uchicago.edu. This research is supported by grant University of Chicago Institute for Translational Medicine-Clinical Translational Science Award UL1 TR000430. The content is solely the responsibility of the authors and does not necessarily represent the official views of the National Institutes of Health.